Get your desired rank, win or just improve on your favourite game here! All boosts are done by pro players who are all the top rank in the game and some are even ranked in the top 10 in the world! This can get you your desired rank fast for affordable prices. Improve your game massively by booking in a coaching session with a professional coach here. Learn new tactics, techniques and more! 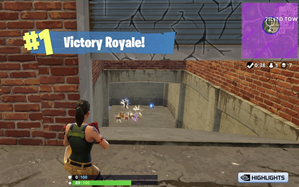 Gain wins in Fortnite quickly by using highly skilled and experienced boosters. You can also duo boost to experience winning with a highly skilled booster​! Learn new strategies, positioning, skills and much more with professional coaches who have tons of experience on the game! More boosting and coaching for other popular games will be added in the near future, such as PUBG, OverWatch, CSGO and more. The world of gaming sometimes feels at odds with the real world. You want to progress and compete at higher levels of your favourite game – be it Rocket League, Fortnite or whatever your favourite online game may be – but you just don’t have the time it takes to dedicate yourself to reaching your desired level. Fortunately for you there are an ever-growing number of game-boosting services available to remove that mortal enemy ‘time’ from the equation, in exchange for some hard cash. As a great gamer, you may well have your own head turned and become interested in game boosting. It is a great way for young people to earn some extra money towards tuition fees, for example. Although the market was ripest a few years ago, when the best boosters could earn upwards of £1000 a week, there is certainly still some money to be had from boosting, despite the saturation of service providers. Essentially, ‘game-boosting’ or ‘Elo game boosting’ involves paying for a service that allows professional gamers to anonymously access your account securely (incognito – nobody will know it is not you that is playing) and play on the platform you choose until your account has reached the desired level. In addition to boosting, you can usually choose a number of other services from the site, including coaching, calibration, restriction removal, promotional matches and more besides. Basically you set up an account with the game boosting site, process a payment for your desired order and once that is done, the order will be assigned to a specific pro gamer who will act as your ‘booster’. You will be able to communicate with your personal booster by Skype, live chat or PM. You can also specify a time for your order to become live, if you want to delay it. 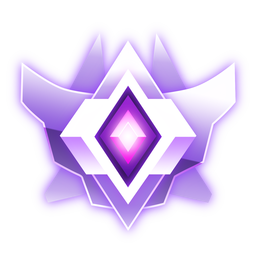 Game boosting to get to a desired level on the likes of Fortnite can not only raise your profile it can help you to attract a better stamp of teammate (also applicable to many other online games, in particular Overwatch), which will help when you need to squad up. Before, at a lower level, you’d have been a much less attractive proposition as a teammate, whereas once you have benefitted from boosting, you will be in much higher demand. In terms of cons of game boosting, you may end up feel like you have cheated by getting to your new level and it can take some of the fun out of the game, as you haven’t climbed the ladder of success all by yourself, but this is usually tempered by the rewards! You can also risk being banned, should the game owners’ find out what has happened (which is rare). This can be worked around by buying a boosting service from a user who is actively coaching – under the pretence that the improvement in your account has arisen from coaching services. Another key tip is not to get too greedy. Jumps in your profile that are too unrealistic tend to be the ones that are targeted.